Farewell to the traditional wedding suite. This wedding collection carefully created and curated for Marguerite and Ren is every bit as breathtaking as the hand-made paper it is designed on. 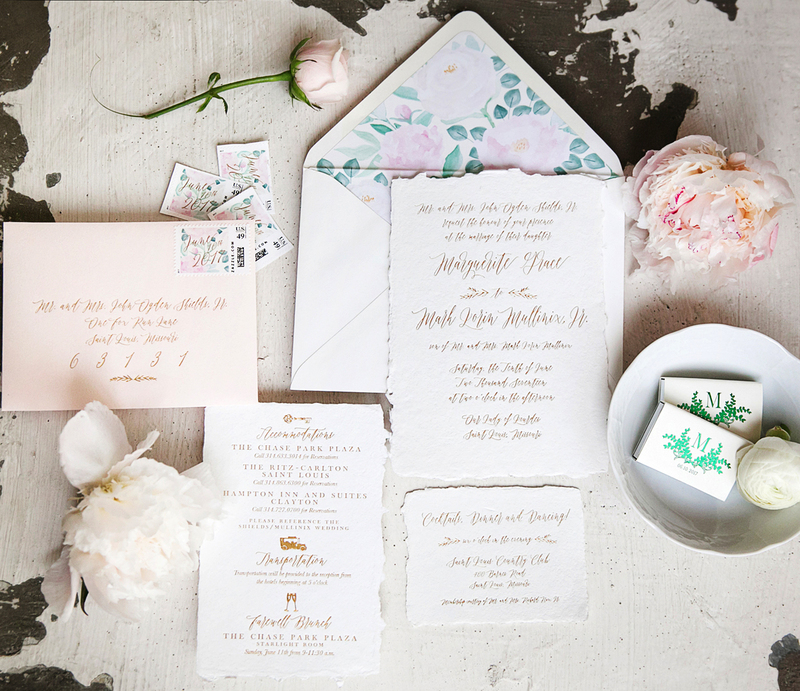 The soft pop of blush seen in the RSVP envelope is beautifully carried over on to the floral blooms of the watercolor painted envelope liners and custom stamps. The gold foil printing on the hand-made wedding paper embodies the all of the style and elegance of this couple and their special day.